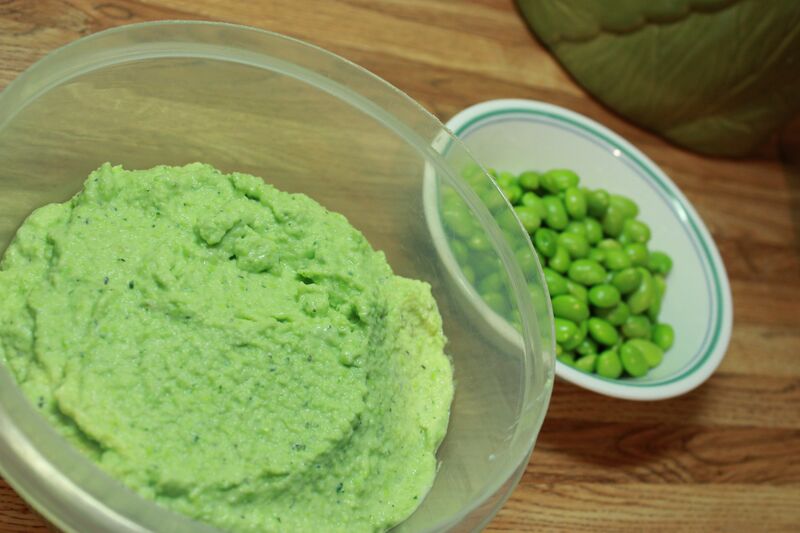 The thing I like best about edamame hummus (or spread if you insist hummus is only made of chick peas) is its beautiful light green color. OK, really what I like best is the taste but the color is a close second, especially since my kitchen is basically painted the same color. It’s also seriously easy to make since I don’t add any extra flavoring. 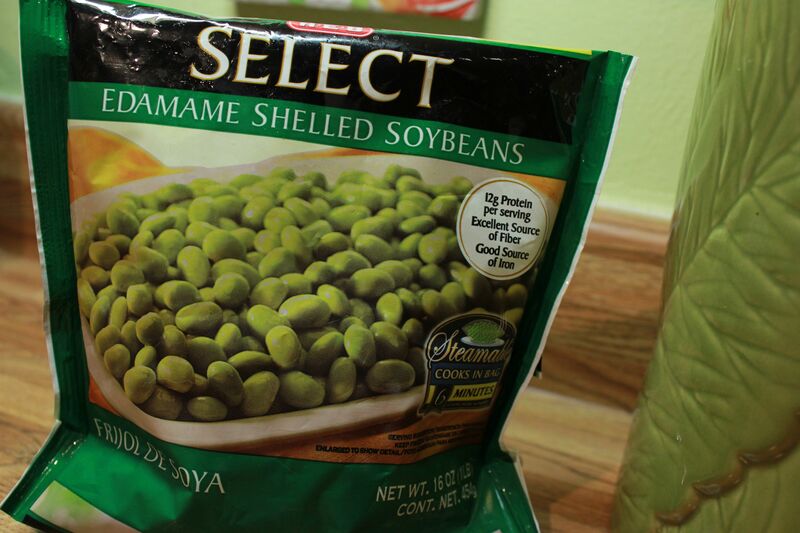 Cook edamame according to instructions. I buy the kind that steams in the bag in the microwave. 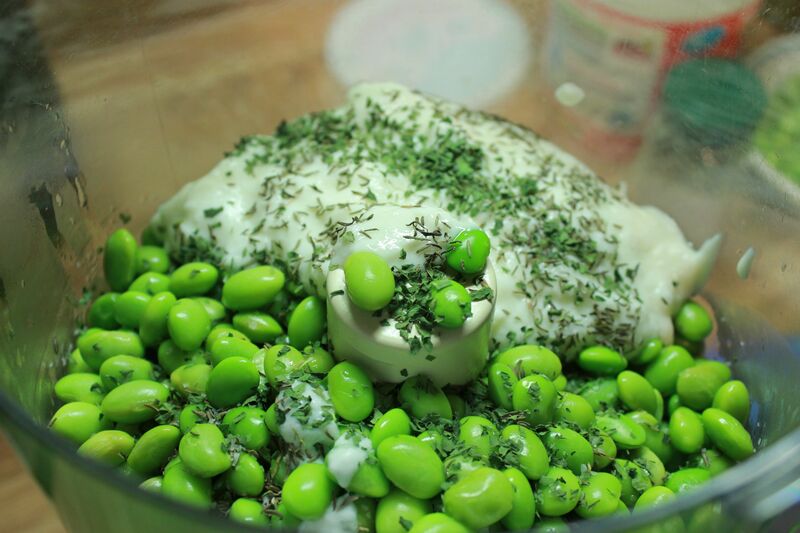 Add the entire bag (or less if you want to use edamame for something else) to your food processor. 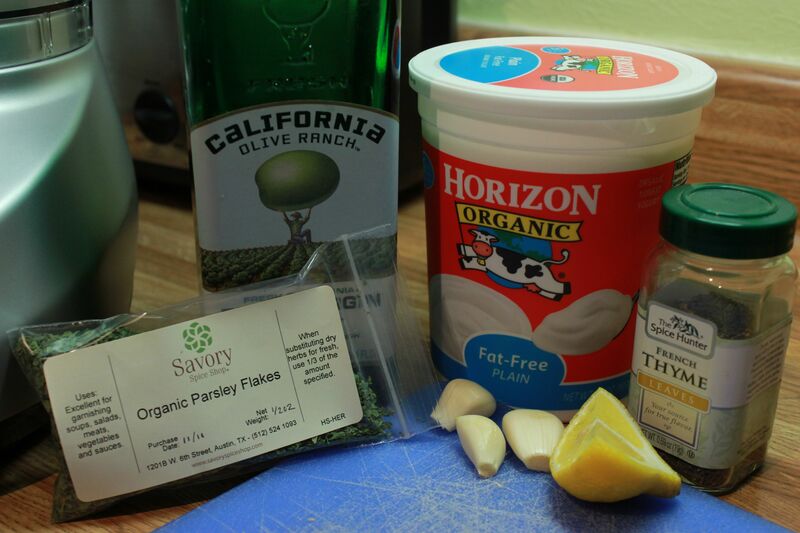 Also add minced garlic – I used 3 big cloves, which is pretty garlic-y, juice from a quarter of a lemon, a drizzle of olive oil, salt and herbs to taste. Add about 3 dollops of yogurt and turn on the food processor for about a minute. Check the hummus. Continue to add yogurt and run the food processor until you reach the desired consistency.